Join us for our most popular trip to the islands & reefs of the Komodo National Park in October 2019. This entire trip is spent within the National Park waters. We will be focusing on photo friendly sites in the north and central areas between Komodo & Rinca Islands and then travelling south to dive the famous sites in Horseshoe Bay as well as explore new sites in the southern region around Rinca and Nusa Kode Islands. The southern area's of Komodo have cooler waters and less visibility than the the northern reefs, but don't less this deter you. 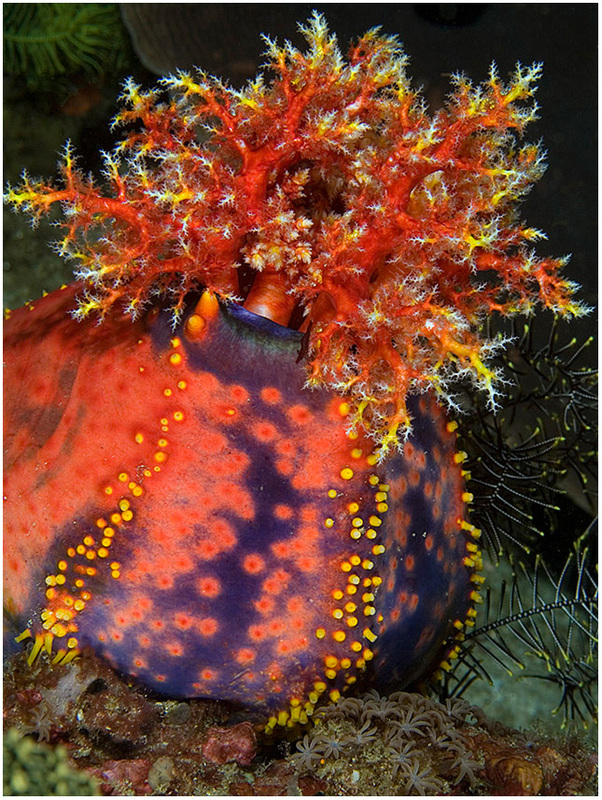 These reefs have some of the richest macro life to be seen anywhere. Places like Cannibal Rock have more critters per square meter than anywhere else on our planet! We start our trip in Bali where we fly from Denpasar airport to Flores to start our live-aboard adventure in the port of Labuanbajo only 10 minutes drive from the airport. So there are no long boat journeys to get to Komodo. 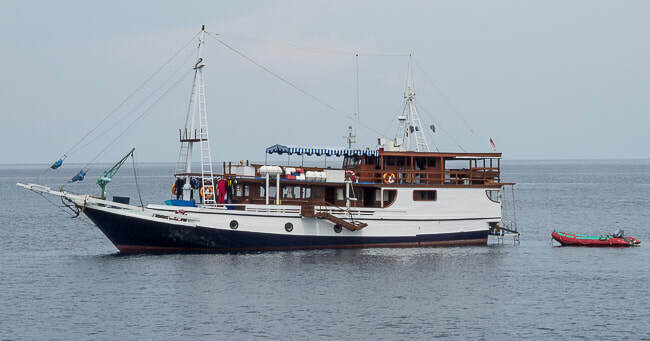 We start diving within the Komodo National Park waters on the day we board the vessel. We start our dives at a sheltered location without currents, so that everyone gets comfortable with their equipment. Then we begin more adventurous dives and seek out the best that Komodo has to offer underwater photographers. Dr Gerry Allen - one of the World's leading marine scientists, describes Komodo as "Perhaps the most extraordinary assemblage of tropical marine species yet discovered"
The waters of Komodo have two very distinct physical environments; The reefs in the northern area of the Park are renown for warm (27-30ºC) clear waters with many coral-rich reefs and wide variety of tropical fish. At some dive sites, the sheer number of fish has to be seen to be believed! The southern section of the Park has much cooler waters (usually 5ºC cooler) caused by oceanic upwellings from the deep Java Trench just south of Indonesia. 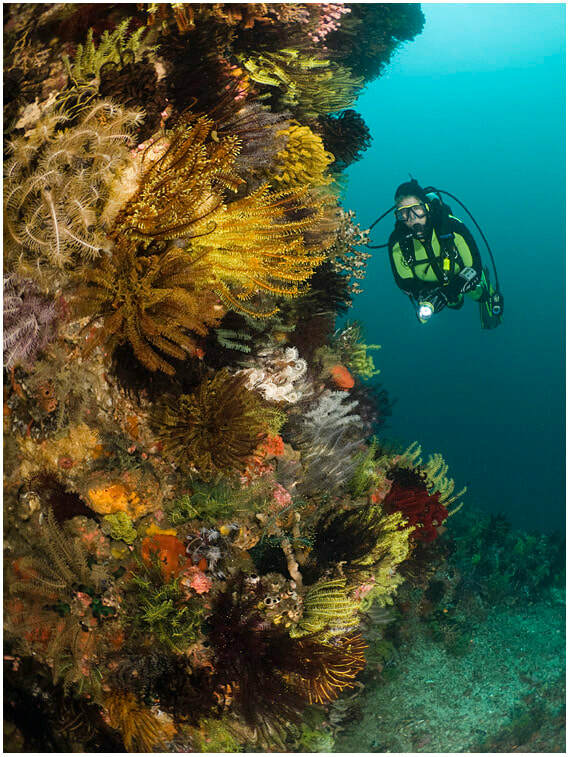 Here the seascape is massive underwater cliffs and boulders adorned with sea fans, soft corals, crinoids and sponges surrounded by schooling fish and some of the most bizarre critters you are ever likely to see. 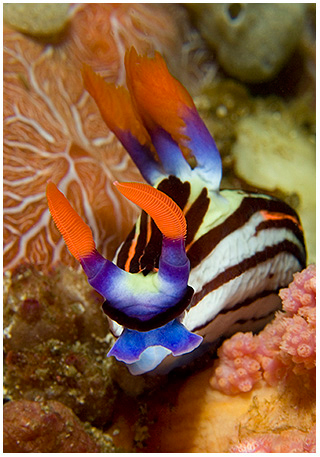 Ever seen a Sea Apple, Sea Fleas or Tozuma Shrimp you will in Southern Komodo waters. 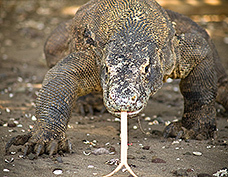 The mid sections of the Komodo National Park are an amazing mix of creatures from both environments. From Manta Rays to Sea Apples, Giant Nudibranchs to Tiny Sea Flea's these waters are home to the critters you may never see elsewhere. The largest lizard in the World, the Komodo Dragon is found no-where else in the world except five island's in the Indonesian Archipelago. 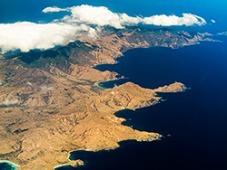 all close to Komodo Island. Only discovered by scientists in 1910, these lizards have been verified to grow to over 3 metres in length and weigh over 160kgs. Using their forked tongue to sniff-out prey, they can detect a dead or dying animal up to 9kms away. Their mouths contain such virulent bacteria, that if their prey escapes the animals jaws, it will suffer from serious wound infections and usually die as a result. Located among the Lesser Sunda Islands between Flores and Sumbawa. Komodo Island is just one of a group of three large islands and many smaller islands that make-up the Komodo National Park. Formed in 1980 to protect the habitat of the Komodo Dragons, UNESCO later listed the Komodo National Park as a World Heritage Site in 1991. Our trips are timed around the mating season for Manta Rays in Komodo National Park. 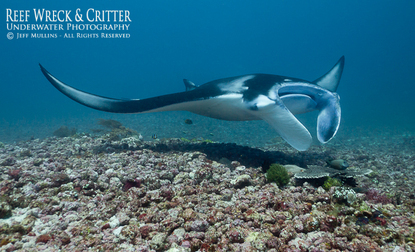 We often see lines of up to ten Manta Rays known as Mating chains, cruising around in depths of 5-12 meters. Diving with these gentle giants is a fantastic experience. Sometimes if they are feeling comfortable, a Manta may swim just above your head, this is a experience you will never forget!